How does Hollywood deal with real-life tragedy? One day they're rolling out the red carpet, the next Warner Bros. was dealing with headlines asking if Batman had blood on his hands. How does Hollywood handle real-life tragedy? 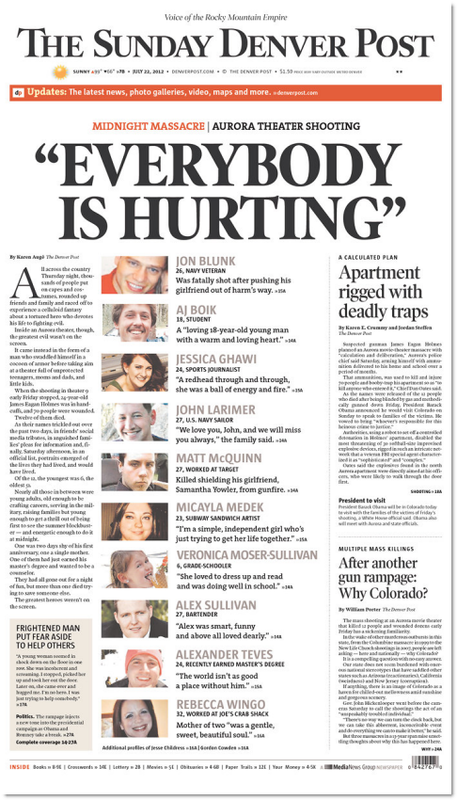 The victims indiscriminately killed during last week's devastating shooting in Aurora, Colorado ranged in age from 6 to 51, reports The Daily Beast, which profiles the 12 people who lost their lives.